I am interested to hear on designers on this one – if any do read this. About pressure relating to ability in the realm of design. There is a lot of work showcased out there (leaning heavily towards illustration) and it sometimes get a little overwhelming because there are individuals out there with freakish talent. As a design student who struggles with illustration specifically what are great ways to explore other mediums when your drawing hand isn’t so strong? AND what are great ways to explore illustration when you’re low on time. I will, when time permits explore a class or short course in illustration because it is a skill I want and need to improve. Thought I’d share several musical loves. 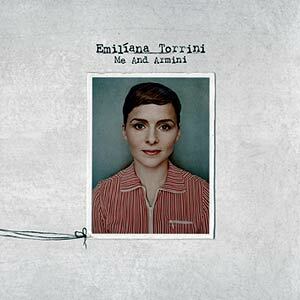 Cutesy romantics aside, it’s lovely stuff and the new, Me and Armini is stronger than Fisherman’s Woman. Holly Throsby, let’s give it to the Aussies, this is some clear, unrefined happy stuff for your ears. I am in danger of over playing parts of it. It has the potential to be annoying in the Australianismness, but sits in that space of being different enough that it passes. I’m also a fan of the cover art. 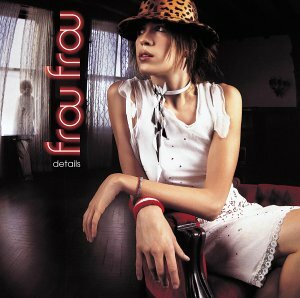 Frou Frou. An older favourite. Thanks to Garden State (oh my what a movie for musical introductions!). Must be played when the weather is fine and things are nice. Car trips up the mountain for enjoyable days alone pretty much require this one. Must be Dreaming is bliss. I forgot to mention that James Burke Photography is live. I like it (I made it by the way) but it has let me realise that I still have a lot to learn about web design. Not sure if I’d do some things quite the same next time around. It was an enjoying spare time filler … if only to have some of that now. My most recent freelance ‘project’ is a resume unfortunately due to the confidential nature of resumes, it lives under wraps. I’ve been doing some reading up on SEO – Search Engine Optimisation for work and also had a conversation with my boss the same time about looking at how we can change things for the better for Ergo online. Where the initial idea was to have a brochure equivalent web presence, things have now evolved through the blog and what not and it no longer holds the prime shelf placement. (That and it could do with a new look, but that’s my own prerogative* seeing as I made the thing in the first place). There is a very interesting article on Realign vs. Redesign over on A List Apart. It is making me rethink my blog overhaul (which hasn’t happened, clearly) and making me lean in the direction of small change, same feel… it could potentially make my life a lot easier, so it’s win-win. I’ve been reading about SEO over on SEOmoz, it is putting into words what I think I subconsciously know.